“Alexander was a pretty bad horse today,” Chris said. “What happened?” Chris’s father asked. It seems Alexander has had a rough, rough day. But Chris’s father reassures him that “anybody can have a bad day once in a while” (even, it turns out, Chris), and still be able to look forward to being “wonderful” tomorrow. This charming vintage book feels extremely contemporary (well, except for that pipe), and is the perfect reminder that tomorrow is another day. 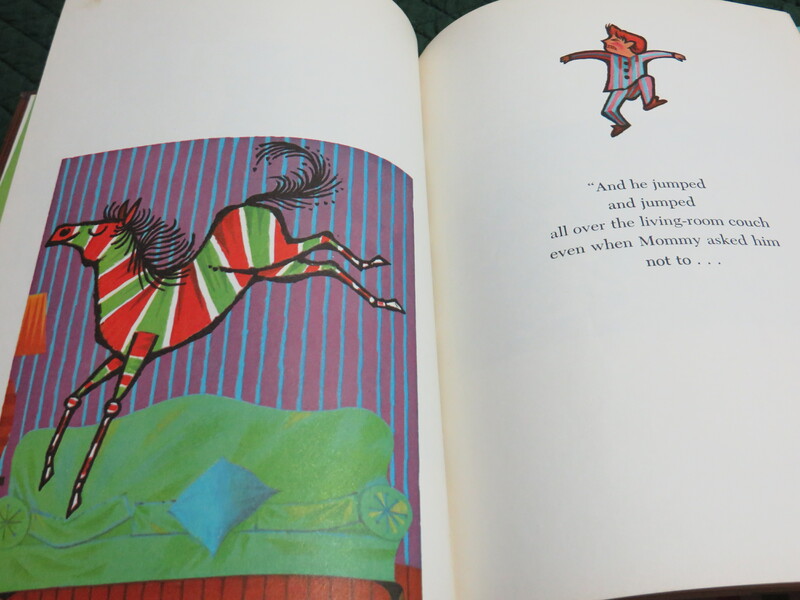 This entry was posted in Picture Books and tagged Alexander, Animals, bedtime, Harold Littledale, I read this as a kid, out of print, Tom Vroman, toys. Bookmark the permalink.